This simple ring has a presence that is both understated and dramatic. 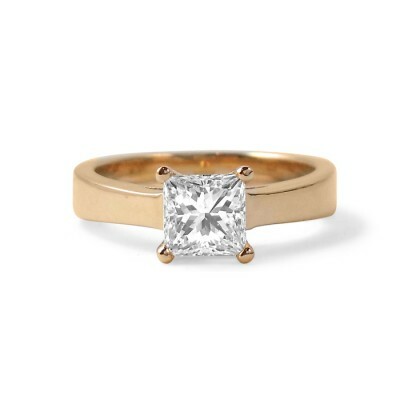 What a great way to set off a princess cut diamond! 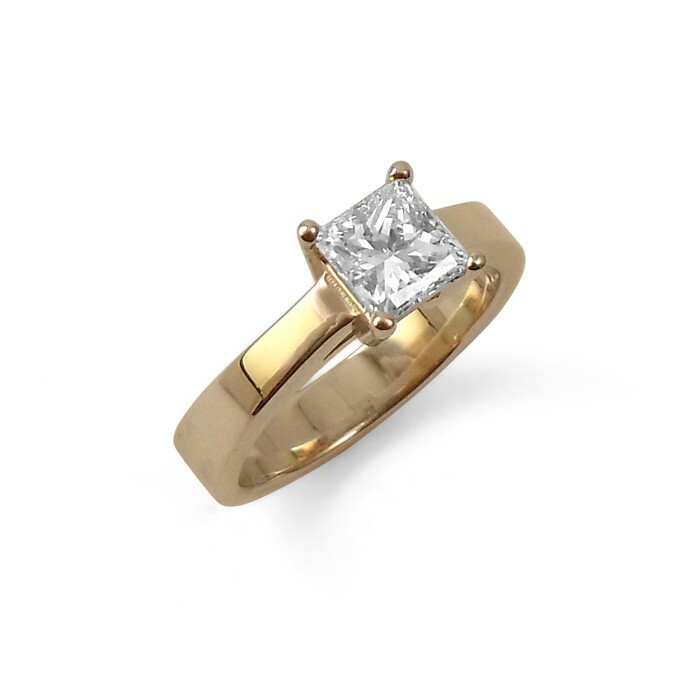 This ring can be custom made for you in yellow gold, white gold, rose gold or platinum with any shape of diamond, sapphire or other gemstone.